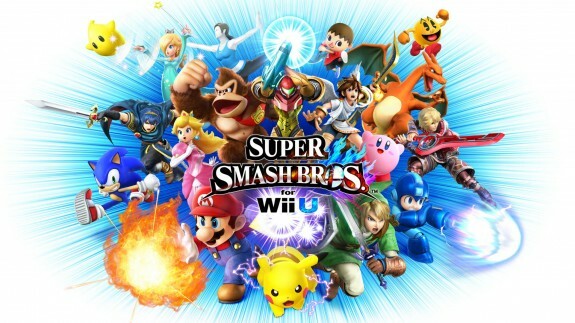 On this page, you will find everything there is to know about the Software updates for Super Smash Bros. for Wii U (originally released on November 21th 2014 in North America, November 28th 2014 in Europe, and December 6th 2014 in Japan) and Super Smash Bros. for Nintendo 3DS (originally released on September 13th 2014 in Japan, and October 3rd 2014 in Europe and North America). NB: since this page was created in July 2017, we’re only listing the updates released after that date (+the last one, from May 2016). 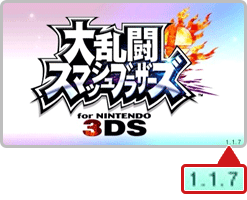 How to download updates for Super Smash Bros. for Wii U and/or Super Smash Bros. for Nintendo 3DS? let the console do its thing if you have automatic downloads activated. You should have the latest version installed the next time you turn on the console. while being connected to the internet, launch Super Smash Bros. for Wii U from the Home Menu (not the Quick Start Menu!) to download and install the update manually. To check out that you have the latest version of Super Smash Bros. for Wii U, simply launch the game: you should see “Ver. 1.1.7” at the bottom right corner of the screen. To check out that you have the latest version of Super Smash Bros. for Nintendo 3DS, simply launch the game: you should see “Ver. 1.1.7” at the bottom right corner of the top screen. Cloud, Corrin, and Bayonetta amiibo (including Player 2 versions) are now supported. 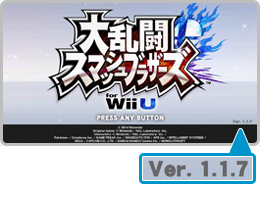 Once version 1.1.7 has been installed, local wireless will not work with version 1.1.5 or earlier. Replays created with these older versions of the software will not work either. Additional notes: this update is required to keep playing online. Additional notes: this update is required to keep playing online. Also, videos recorded with Ver. 1.1.5 are no longer compatible with this version.